Are you finding yourself doing hours of cardio each week but not seeing the results that you were originally hoping for? It’s time to stop wasting your time and choose a more efficient workout! So many people believe that cardio is the best way to lose weight because it helps burn the most calories. And while yes it does help burn a lot of calories in the moment, it’s also just as important to incorporate resistance training into your routine as well. So stop spending countless hours on the treadmill! 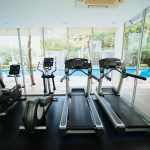 I’m here to tell you why the treadmill (or any other form of cardio) isn’t helping you lose weight. 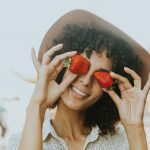 I know that weight loss can be extremely confusing, but to put it simply, weight loss occurs when you are consuming less calories than your body is expending. You can achieve this by either decreasing your caloric intake, or by increasing your energy expenditure (aka burning more calories). So let’s say you burn about 2000 calories a day without exercise. If you wanted to lose weight you could either not exercise and eat less than 2000 calories each day. Or you could eat 2000 calories a day and choose to exercise and burn extra calories. No matter which example you go with, you would be in a caloric deficit. Cardio is any type of aerobic exercise, like running, walking, biking, swimming, etc. It helps to strengthen your heart and also burns a lot of calories. Most people assume that since it burns more calories during the workout, it must be the best way to lose weight. 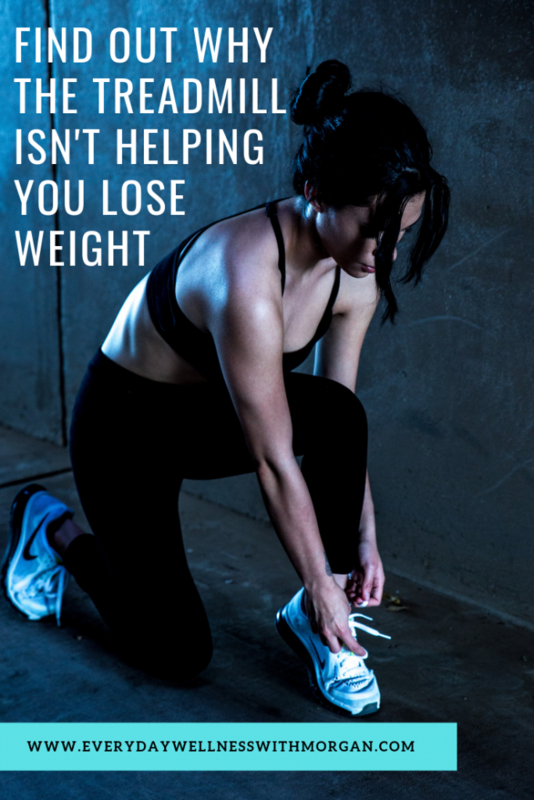 And while it will definitely help you lose some weight, it isn’t the only thing you should be doing. Resistance training is any type of weight training, like using dumbbells, barbells, or weight machines. It helps to build lean muscle and shape your body. While it doesn’t burn as many calories as cardio does in the moment, it does help to increase your energy expenditure. So how in the world does it do this? Muscle is a very active tissue, unlike fat tissue. It requires more calories than fat just for your body to keep it alive. Therefore the more muscle you have on your body, the more calories you burn each day just being alive. This is what’s known as you resting metabolic rate (RMR). Therefore by doing some form of resistance training you can either be slowing down the amount of muscle lost or even gaining muscle. This will help make it even easier to lose weight. So now that you know it’s important to include resistance training in your weight loss plan, it’s time to figure out how to put it all together. The same article by the National Strength & Conditioning Association referenced above also states that, “For the untrained person, a resistance training program should be low volume and low intensity (1 set, 10–12 repetitions) and should gradually build to a routine with higher volume and moderate intensity (3 or 4 sets, 8–12 reps). If you need help putting this all together into a workout plan, check out my Lean Strength Workout Guide that is an 8 week resistance training program that focuses on building lean muscle mass and burning fat.